Denim isn’t just for jeans! 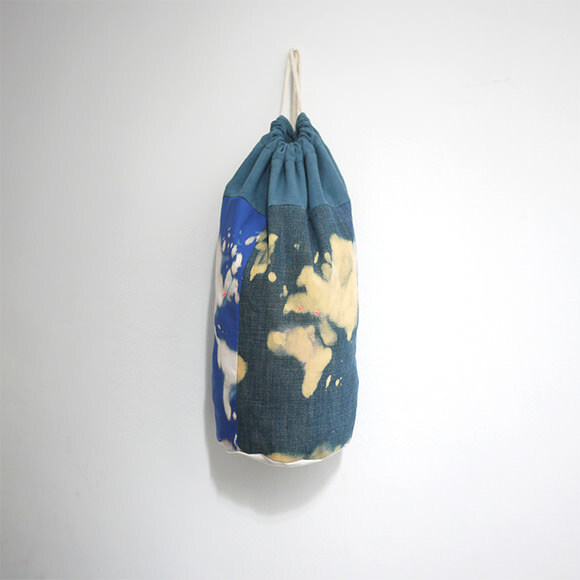 Here’s a collection of denim finds to dress up your kid’s room. 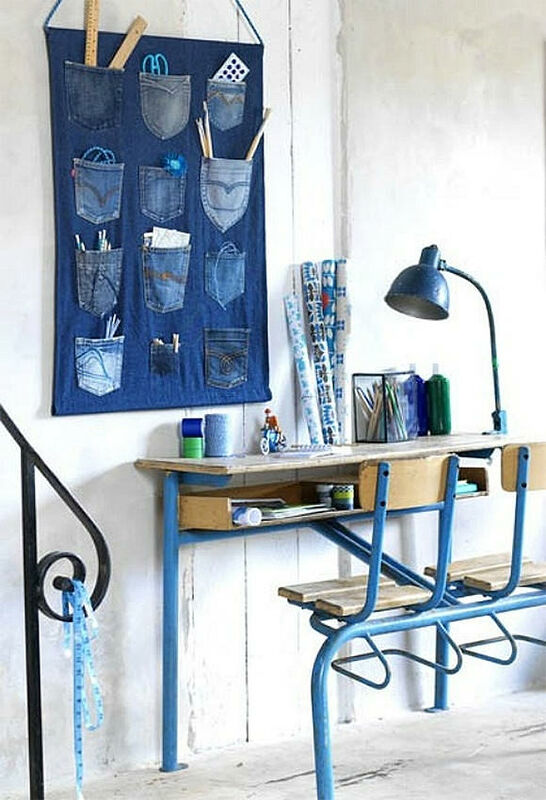 Inspired by the city of Nîmes, France—which claims to be the birthplace of one of the world’s most popular fabrics, denim, or “serge de nîmes” as it was originally known—I’ve rounded up 6 inspiring denim finds perfect for any child’s room. I fell in love with these giant foam play blocks when I first saw them. 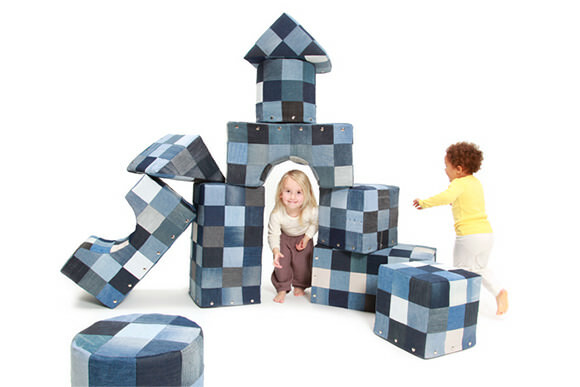 Designed by Dutch company Blu Bloxx, these attractive, sustainable toys are made from old, used jeans. The soft but sturdy blocks are decorated with removable, washable covers made to last. This duffel bag—made in the city of Nîmes—would not only make for an original travel or sports bag but would also look pretty cool hanging up in teen’s room. More denim-inspired products are due out this week form the ladies at Les Copirates as part of the Denîmes collection. 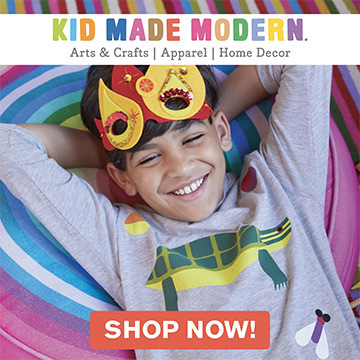 As always, Etsy is a great place to start if you are looking for upcycled children’s products. 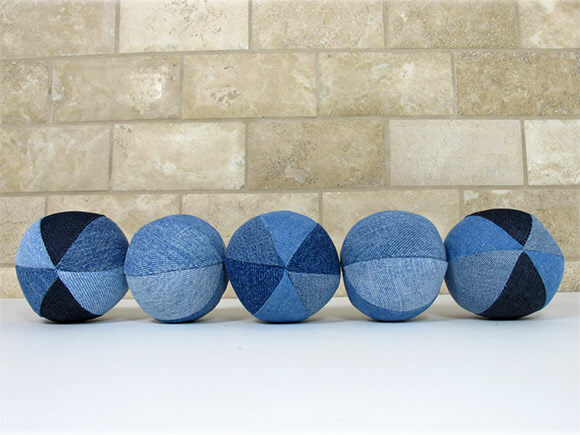 While seventies-style patchwork denim quilts are quite popular, I fell for these simple jingle bells made from recycled jeans instead. I love the high-contrast patchwork effect—perfect for baby’s developing visual acuity. 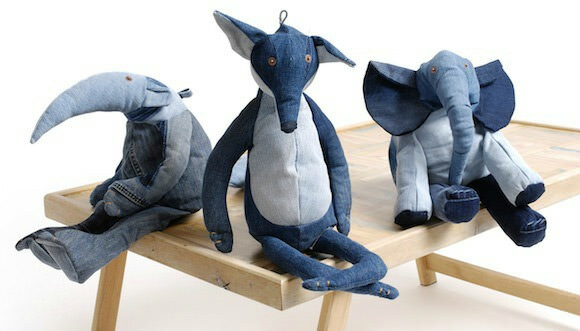 Maison Indigo, an up-and-coming Dutch company, stole our hearts with its unique collection of denim animals sewn by people with disabilities. I love all three quirky characters (an anteater, elephant, and fox), and I’m pleased to see them making their way abroad into beautiful shops like Leuie in Canada. Cox & Cox will be adding two new denim products to their kids’ range this fall. 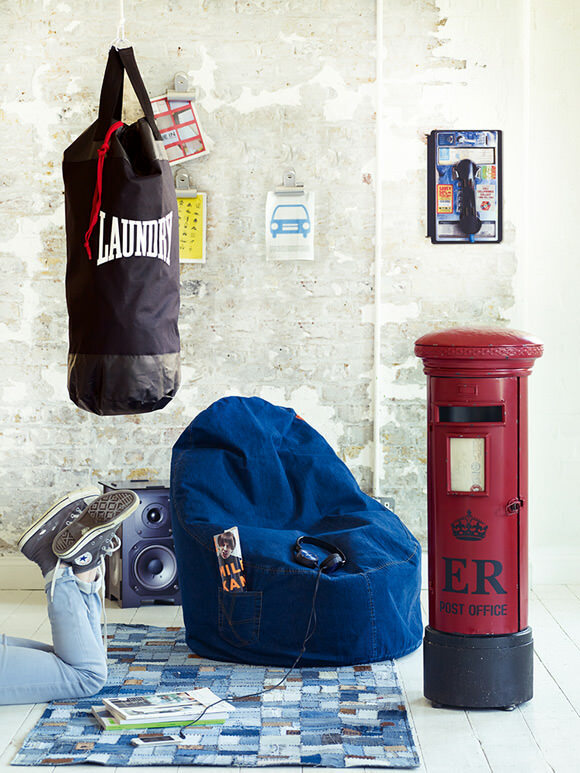 Check out this big, comfy denim bean chair complete with jean pockets and the striking Cox & Cox made from recycled jeans (available in October). More smart teen-room finds!